Wellesley College, and the idealism it inculcated in its graduates, shaped the woman who now, forty-seven years later, seeks to be the next president of the United States. We Evangelicals are not persuaded by her rhetoric. We identify with some of the positions stated by her opponent, though not much else. Instead of idealism we find in her a degree of hardness, or cynicism, of brittleness, some would say insincerity. But this paper is not to make a political statement but rather, to help us as Canadians, to understand the woman who may well be the most powerful person on earth. And to do that we need to know more about the little-known and largely ignored founder of Wellesley College in 1875, Henry Fowle Durant. It was Durant’s name, as a Durant Scholar, that was on the highest academic honour that Hillary Clinton received at the 1969 commencement. .As Evangelicals we ask what happened to that vision that created Wellesley College, that American dream as epitomized by the prayer of Katharine Lee Bates, Wellesley Class of 1878 and long-time English professor: “America, America, God shed His grace on thee and crown thy good with brotherhood from sea to shining sea.” Hillary Clinton arrived in Wellesley in the autumn of 1965 an idealist with stars in her eyes, fresh out of the brand new Maine South High School in the leafy Chicago suburb of Park Ridge and active involvement in the youth ministry of the First Methodist Church there. The changes that have reshaped Wellesley College are the same forces that have forever altered the culture of the United States and along with it Hillary Clinton and a whole generation. Wellesley College would not exist today were it not for the evangelistic ministry of Dwight L. Moody. It is one of many examples of his complex legacy from Evarant’s name, as a Durant Scholar, that was on the highest academic honour that Hillary Clinton received angelical Moody Bible Institute to today’s multi-faith Northfield Mount Hermon School now in Gill, MA. Moody helped shape Nineteenth Century evangelicalism in ways that he could never have anticipated. Moody’s great gift was that of evangelism and one of his circle was the successful Boston lawyer and businessman, Henry Fowle Durant. 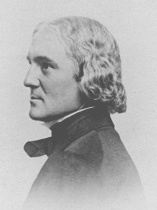 Moody was a mentor to Durant and joined the Board of Wellesley College the year after its foundation in 1876 and remained until his death twenty-three years later. Henry Durant gave up his law practice, moved to New York, and engaged in serious Bible study, self-taught with commentaries and the Scriptures, very much in the Moody style (both without much theology which would later tell). Fortunately speculation in locomotives for the Union armies had made him financially independent. Moving back to Boston, he laid plans for what was initially called the Wellesley Female Seminary. He had found his calling: a passionate commitment to women’s rights and advancement. As he would state in an 1877 sermon: “We revolt against the slavery in which women are held by the customs of society – the broken health, the aimless lives, the subordinate position, the helpless dependence, the dishonesties and shams of so-called education. The High Education of Women is one of the great world battle-cries for freedom; for right against might. It is the cry of the oppressed slave. It is the assertion of absolute equality.” Ringing words in post-Civil War America when many white Christians had been complicit in slavery and often less than enthusiastic about women’s rights. As the first serious female candidate for the presidency of the world’s most powerful nation Hillary Clinton stands in a remarkable tradition encouraged, strengthened and nurtured by her alma mater’s Christian traditions But it was never for Durant initiated by a desire for power or position: his was “A Life-Plan of Self-Devotement to God in Unselfish Service of Man.” Durant was insistent that the motto of his new female seminary be Non Ministrari sed Ministrare (“not to be ministered to but to minister” (Mark 10:45). It was he who designed the logo of Wellesley College with those words and originally a large Greek “chi” for Christ over them. That soon vanished. The ethic of Jesus adopted by Durant, was to him an ethic of love, service and mutual respect, stands in sharp contrast to the ethic of Saul Alinsky who became a kind of role model for Hillary Clinton and the subject of her senior thesis titled “There Is Only the Fight … “ an analysis of the approach of the fire-brand radical labour organizer. 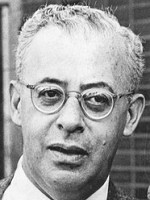 Alinsky, who modestly claimed fame as “the second most famous Jew” (presumably second only to Jesus), came from a very different part of Chicago: the gritty so-called “back of the [stock] yards.” In order to effect political and economic change and respond effectively to injustice Alinsky said“power” was needed and that power came through organisation and inevitably involved conflict. All the later Clinton is there: the moral opportunism along with a genuine concern for the betterment of humanity using whatever means, and above all the naked pursuit of power. Alinsky, the radical, shaped Hillary Rodham and offered her a job on graduation. It was a Wellesley professor that first introduced her to Alinsky. Alona E Evans (1917-1980) was a political science professor who came to Wellesley after the War and experience in the State Department. She was an expert on international criminal law, extradition, aircraft hijacking, and refugee issues. She made rights issues a significant aspect of her investigation. 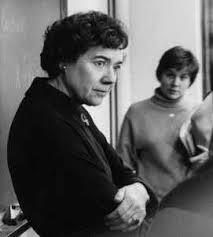 Professor Evans was the most significant influence on Hillary Rodham on the faculty: quietly dynamic, shrewd, disciplined and personable. She became head of the Political Science Department, Rodham’s major, and a subject in which Wellesley had been a pathfinder since the first specialist was hired in 1884. Wellesley, unlike many other similar American institutions, had always had an international perspective owing to Durant’s commitment to make it, like its sister Mount Holyoke, a training school for prospective foreign missionaries going overseas. The plaque honouring graduates going to the mission field to be seen in the Chapel shows a dramatic decline around 1914. The change in Wellesley College’s Bible instruction was rapid. Its library, begun with Durant’s own collection, by 1884 had reached 24,000 volumes, among them ominously “works of German scholars who were laying the foundations of Biblical criticism.” The full impact of this erosion became clear in an 1896 letter from a worried parent to Dwight L. Moody as a Trustee: “The whole tendency of the way the Bible is taught is to break down the reverence of the girls for the Bible, and take away their faith in it. Of course they [the faculty] profess to be the most loyal students of the Word, and claim that they are only sweeping away misconceptions and preparing the minds of the young women for a true and intelligent faith, but the result is, as the influence of Higher Criticism always is as you know better than I do, to take away faith altogether. My daughters who left there two years ago came away with less faith than they had when they went, and such I fear us going to be the result in the case of the one who is there now, if I cannot succeed in getting her out from the influence. Can’t something be done to put a stop to that wicked business? I wrote to Mrs. Durant about it and she laments the fact very much but sees no way to prevent it.” Nor could Moody, by this time an aging and exhausted figure. It was ultimately not a professor but the youth minister of her church that influenced Hillary Rodham in social activism and religious liberalism. Don Jones came to First Methodist Church, Park Ridge, fresh out of Drew Theological Seminary, a liberal Methodist school. “Don opened up a new world to me and helped guide me on a spiritual, social and political journey of over forty years,” Hillary Clinton posted at the time of his death in 2008. “Don taught me the meaning of the words ‘faith in action’ and the importance of social justice and human rights.” He only lasted in conservative Park Ridge for two years, went back to Drew and taught social ethics there from 1966 to 2002. He, probably, more than any other person, shaped the political views of Hillary Rodham Clinton. Wellesley College simply confirmed and reemphasized what she had experience in her own congregation back home. Whether John Wesley, who is frequently cited in articles about her religious convictions, would concur, is dubious. Mainstream Methodism in America has travelled a long way from its roots, as has Henry Fowle Durant’s Congregationalism. Her first Sunday in Wellesley the eighteen-year old Hillary Rodham took a black classmate to worship at the newly constructed Christ Church Methodist in the centre of downtown Wellesley. A half-century later the religious landscape in the United States is vastly different. Christ Church Methodist in Wellesley has recently closed. Mainline Protestant churches, particularly in the Boston area, are emptying. Given this reality Evangelicals are forced this election to make hard choices. Hillary Clinton is described as “the most religious candidate for the presidency in 2016.” Wellesley College shaped the religion she now claims as her own, but it is indeed a very different religion than that of the founder of the school. This is not the school that Henry Fowle Durant envisioned. His College – and the direction it has taken in the last hundred-fifty years – represents a missed opportunity, emblematic of how the culture has changed and the inability of Evangelicals to speak to that culture and transform it. New York Times 29 September 2016 (http://www.nytimes.com/2016/09/30/us/donald-trump-christians-gay-marriage.html?hp&action=click&pgtype=Homepage&clickSource=story-heading&module=first-column-region&region=top-news&WT.nav=top-news). For his impact in the UK see my A Kirk Disrupted: Charles Cowan and the Free Church of Scotland. Fearn: Mentor Books. 2013, 302-305. Hackett, Alice Payne. Wellesley, Part of the American Story. New York: Dutton, 1949. 18. The galley proofs and original notes and manuscript for an ambitious 1900 two volume biography by Rev. E. P. Tenney are to be found in the Wellesley College archives. It would appear, from the words of a 1924 biographer (Florence Morse Kingsley), that Durant’s life with its heavy religious underlay became an embarrassment: “The writer of this biography has been recipient of well-intentioned bits of advice from persons interested in Wellesley as an institution of learning. One writes: May I suggest that it is unwise to try to investigate Mr. Durant’s record.” The Life of Henry Fowle Durant Founder of Wellesley College. New York: Century. 1924, 131-2. The small village of West Needham, the Durant’s country home, having changed its name to recognize a wealthy patron (Welles was originally his middle name). Kendrick, E.H. “The History of Bible Teaching at Wellesley College, 1875-1950” 11. Letter forwarded by Dr. William H, MacMillan, President of Albany Theological Seminary 21 April, 1896 to D. L. Moody. Copy in both the Wellesley College Archives and the Clafin Papers of the Rutherford B. Hayes Center, Fremont, OH (HC 950). “Rev. Donald Jones, Mentor to Hillary Clinton, Dies at 78” New York Times, 27 April 2009.